2.Signup or register on freecharge. 3.initiate A Recharge Of Rs.50 or More. 5.Now Complete Recharge, pay the Amount you will get Cashback soon. 1.On Dashboard, You will See a Banner For “Refer friends and Earn Rs.5000”. 2.Click on It and You will Get Your Referral Code. 3.Now copy it and Share with Your friends. 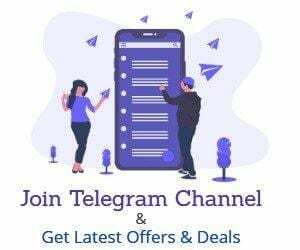 FreeCharge apps offer for new user. 100% cashback recharge, recharge rs 50 and get flat rs50 cashback on mobile recharge. 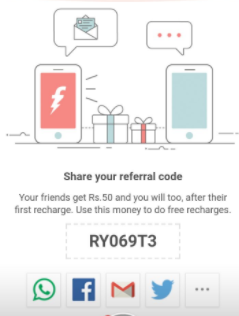 Sir mene do friend ko refer kiya but cashback nehi mila mera referral code kaha par apply korna porega….. Please reply…….